My name is Alyssa Morgan and I’m a librarian! I grew up in Meade County, Kentucky and stayed there until I got my undergraduate degrees in English and Humanities at the University of Louisville. I attended Indiana University where I graduated with my Masters of Library Science in 2010. I work for a library system in Central Indiana (you could actually say the library is mine, but that’s another story). I started out as the library’s intern in the summer of 2009, was hired as a clerk in August 2009, and became the Children’s Librarian in 2011. To say my library career has been rather serendipitous is an understatement! Outside of the library, I have a sweet little boy (aka The Tiny Human) who demands all of my attention. He’s absolutely adorable, so I don’t mind. Together we cook, spy on the neighbors, and fawn over the cat. There is never a dull moment. You can find me on Twitter (@LibraryLyssa) and you can view my visual resume here. Hi! We may have met before. 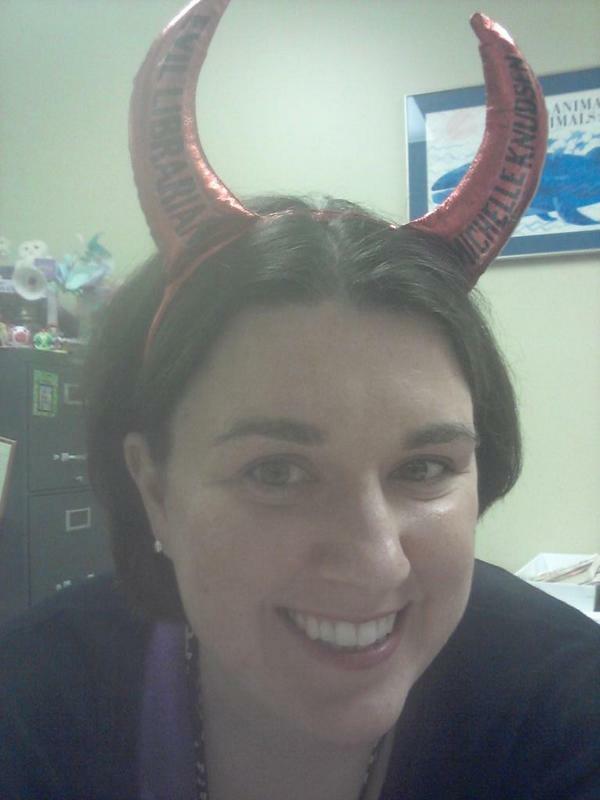 My name is Emily Moore and I am the Children’s Librarian for Pope County Library in Arkansas. Because I would like to start a NEW Book Club at my library, I am gathering information about other library’s Book Clubs for Kids and wanted to see if you would mind sharing some of your planning.